GEN II – Drop-away Arrow Rests. Engineered to be Tough, Quiet and Accurate, the Schaffer Performance Archery GEN-II drop-away arrow rest is designed specifically for your bow. MAT-1 GEN-II drop-away arrow rest is designed specifically for your Mathews® or Mission Archery® bow. TEC-1 GEN-II drop-away arrow rest is designed specifically for your Hoyt® or Reflex® Tec riser bow. 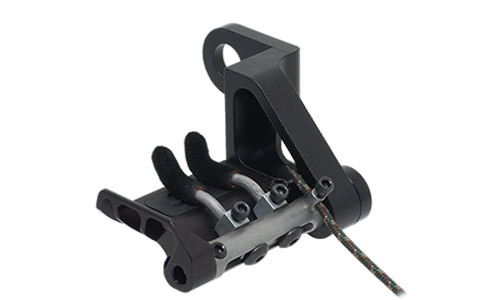 X-1 GEN-II drop-away arrow rest is designed specifically for your PSE® X-force bow. 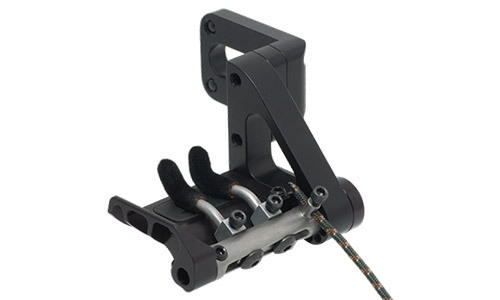 E-2 GEN-II drop-away arrow rest is designed for modern compound bows. GEN-II arrow rests are configured as drop-away arrow rests out of the package however you can easily change the configuration to a conventional two-prong arrow rest or a lizard tongue arrow rest. From the backwoods to the backcountry, Schaffer Performance Archery GEN-II drop-away arrow rests help you put meat in the freezer and horns on the wall. Our exclusive Fluoroelastomer Launch Pad eliminates metal on metal contact, it’s the quietest drop-away in the field. Riser Lock eliminates any chance of rest movement while hunting, traveling, fine tuning with a hammer or mishaps involving your truck. GEN-II arrow rests are fully adjustable to get out of the way and provide maximum vane clearance even with today’s speed bows. Using factory settings right out of the package it’s been tested at 417fps. 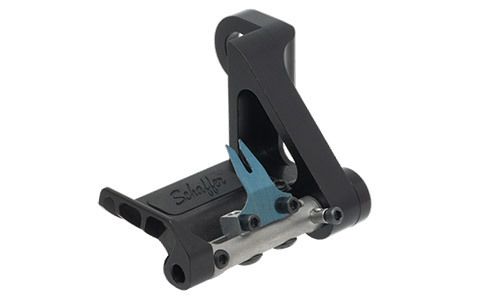 Schaffer Performance Archery was the first arrow rest company to design a drop-away rope adjustment on the arrow rest making installation painless. Timing a GEN-II fall-away arrow rest takes just seconds. Precision fit, self-lubricating bearings and a stainless steel axle machined to the highest tolerances will stand up to a lifetime of use and abuse. Micro Lock adjustments make tuning the MAT-1 GEN-II arrow rest quick and easy. Once it’s tuned, it stays tuned. All adjustments on GEN-II use one wrench size.